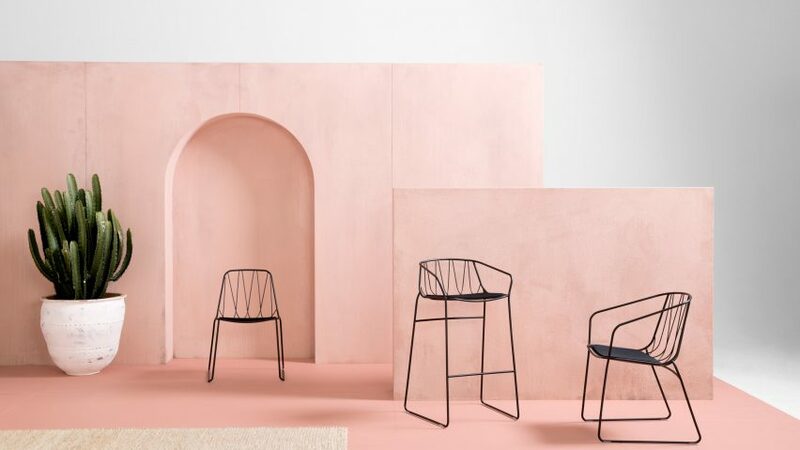 Now the Stockholm Furniture Fair has ended, we're reflecting on some of the most promising talent spotted during the event. At the fair, the duo presented a collection that won them the Rising Star accolade at the Editors' Choice awards, which included a credenza with a bamboo skirt as well as a lamp modelled on seafront homes in northwest Canada. The chairs, which she says are inspired the "Bauhaus aesthetic", feature a leather back and seat that can slide off and be replaced. Westlund and Wik presented their Oas sofa as part of Beckmans College of Design's office-themed exhibition. Fereday founded his studio on 2012 and focuses on using materials and the environment "as a positive design constraint". Barcelona studio Toru presented its Clop lounge chair, which designer Jordi Ribaudí based on the "simplicity of a clog shoe". Its simple form is made from a wooden stool and a thick piece of folded leather that creates the seat's back.